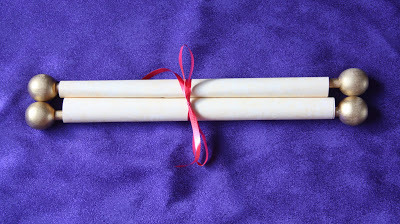 of Baron Bartholomew to Lady Diana of Dunnsberry in the manor of Fernwood. but your attendance is required by the request of your lord. that is until you find yourself in the middle of a murder. 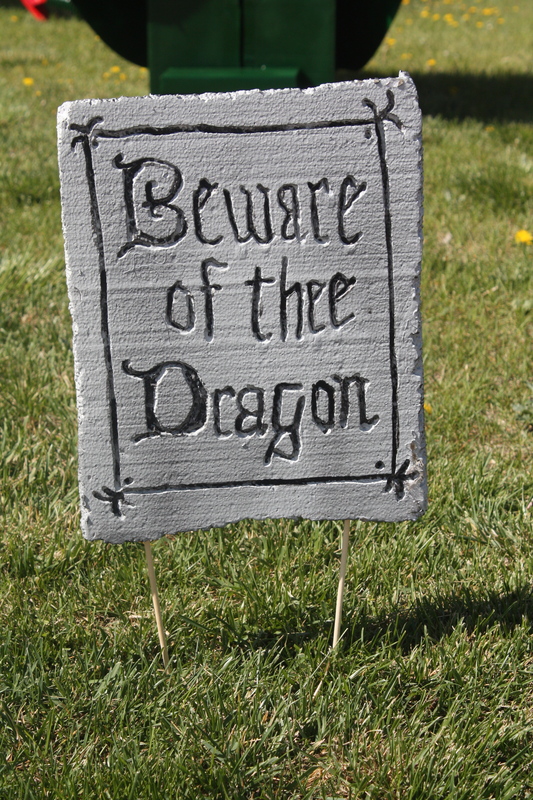 that there is a lot more at stake, for murder in the manor is punishable by death. as you try to find the real murderer, and only you can defend your innocence. Who do you trust? Who will betray you before the night is through? Everyone is a suspect and no one is safe in this mystery of medieval madness. your innocence, but your ability to defend it. With 20+ guests: At least 9 male characters, 9 female characters, 2 gender neutral-characters (roles that can be assumed by either a male or female guest). With 15-20 guests: 7-8 male characters, 8-10 female characters, 0-2 gender-neutral. With 10-15 guests: 6-7 male characters, 4-6 female characters, 0-2 gender-neutral. With 8-12 guests: 4 male characters, 4-6 female characters, 0-2 gender-neutral. ** Not all characters will be included if you do not order 15-20 guest version. 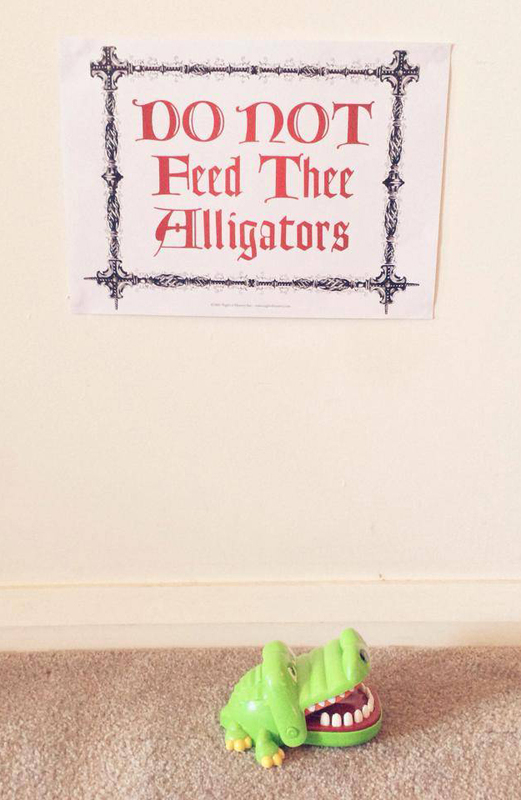 As ruler of this prosperous kingdom, Kyle is well liked by everyone. It’s hard to have many enemies when the punishment of betrayal is death! Genevieve rules equally alongside her king, or so she thinks. As Kyle’s official in Fernwood, Sheriff is in charge of collecting the taxes in the manor. With the profits dwindling, Sheriff may have some explaining to do since the royal family’s prosperity seems to be at its highest. Sherilyn will do anything to see her husband promoted, especially if her actions bring her more power and riches. 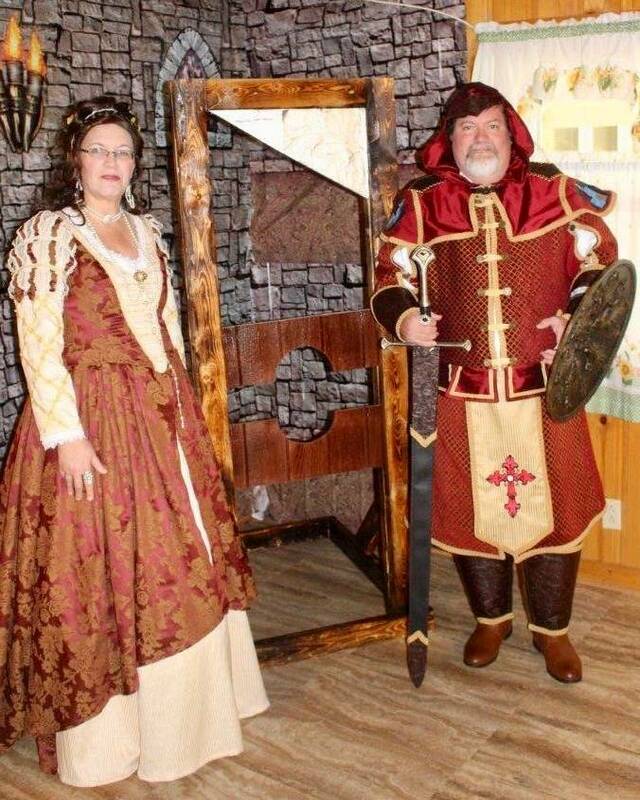 In celebration of his only son’s marriage to the noblewoman of his choosing, Lord Taylor is determined to host a tournament of epic proportions. Gwendolyn is delighted for the approaching tournament. To Gwendolyn, the celebration symbolizes prosperity and happiness and a chance to marry off her only son to another noble. Info for all ye guests attending the Grand Celebration!!! Who Will Be at The Celebration!!! King Kyle—King. As ruler of this prosperous kingdom, Kyle is well liked by everyone. It’s hard to have many enemies when the punishment of betrayal is death! Queen Genevieve—Queen. Genevieve rules equally alongside her king, or so she thinks. Sheriff—The Sheriff of Fernwood. As Kyle’s official in Fernwood, Sheriff is in charge of collecting the taxes in the manor. With the profits dwindling, Sheriff may have some explaining to do since the royal family’s prosperity seems to be at its highest. Sherilyn—Sheriff’s Wife. Sherilyn will do anything to see her husband promoted, especially if her actions bring her more power and riches. Lord Taylor—Lord of the Manor. 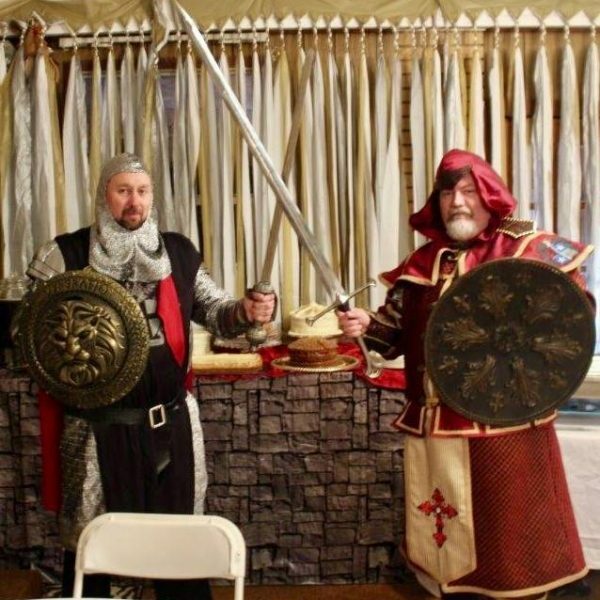 In celebration of his only son’s marriage to the noblewoman of his choosing, Lord Taylor is determined to host a tournament of epic proportions. Lady Gwendolyn—Lady of the Manor. 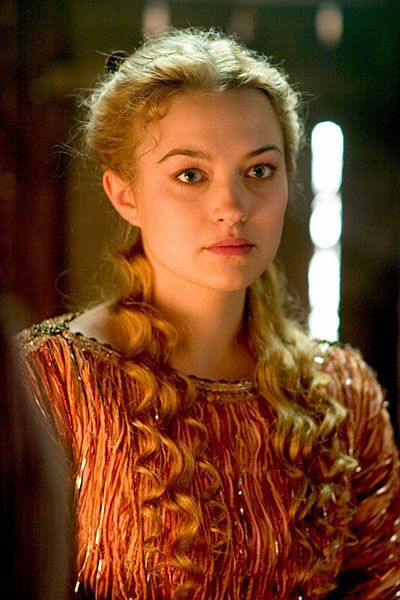 Gwendolyn is delighted for the approaching tournament To Gwendolyn, the celebration symbolizes prosperity and happiness and a chance to marry off her only son to another noble. Baron Bartholomew—Son to Lord Taylor and Lady Gwendolyn. The tournament is planned in honor of his marriage to another noble on the one year anniversary of his and Diana’s meeting. Baron’s only regret is that he must marry for wealth instead of love. Lady Diana of Dunnsberry—Noblewoman. 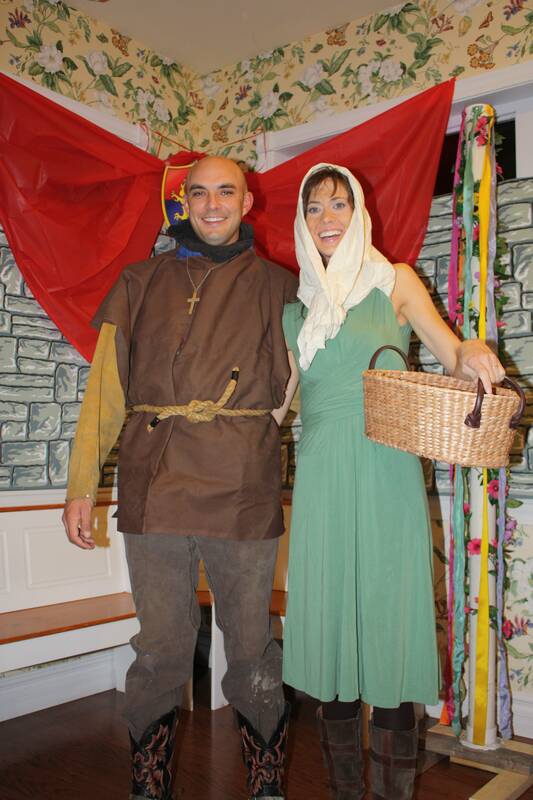 Diana arrived in Fernwood on a quest for a husband. While her heart is now satisfied, another’s may now be broken. 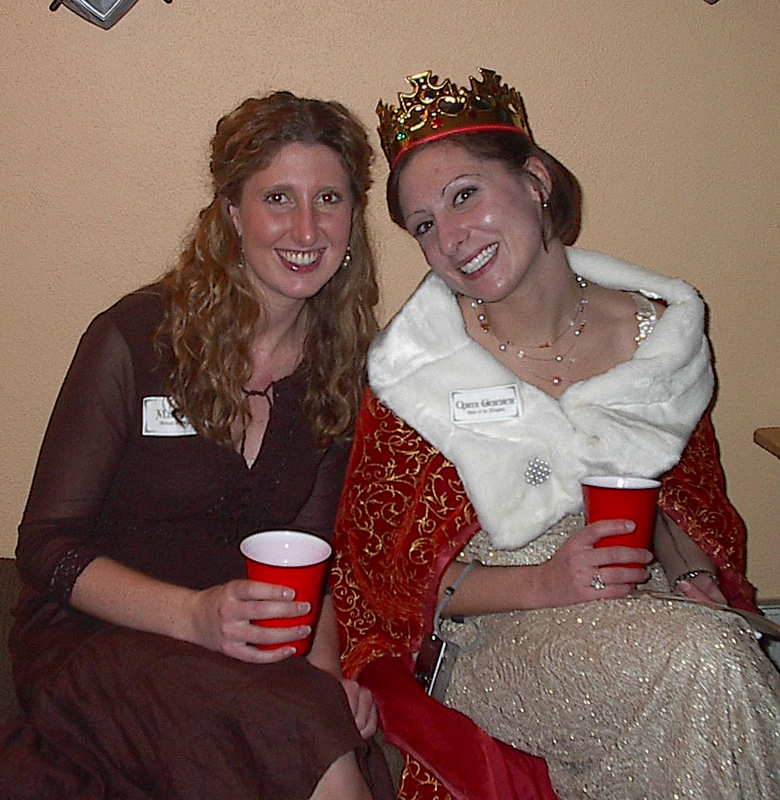 Maid Marilyn—Lady Gwendolyn’s Lady-In-Waiting. As Lady Gwendolyn’s right-hand woman, Marilyn is like a daughter to the lady. Like a true mother, Gwendolyn will do anything to ensure Marilyn’s happiness. Sir Cameron—Knight. 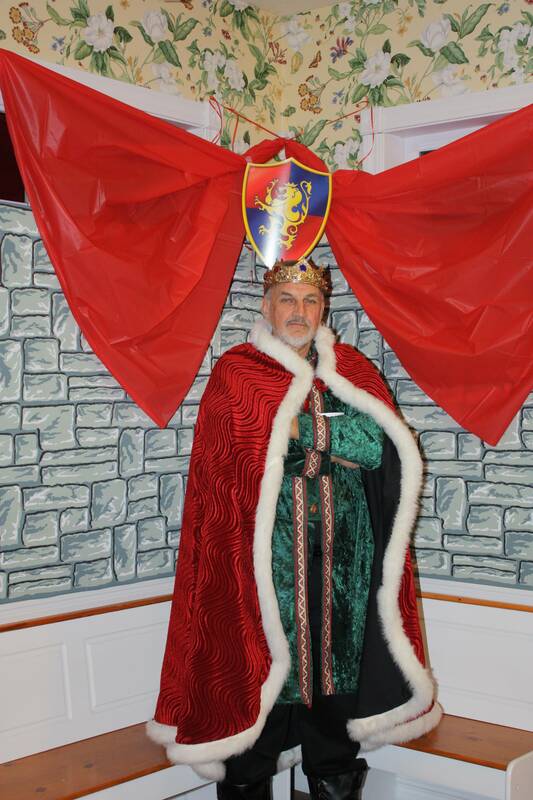 Sir Cameron is looking forward to entertaining and fighting for his honor in the manor tournament. If Cameron wins, rumor is that he will be asking for the favor of Maid Marilyn. Sir Rufus—Knight. Sir Rufus is looking to boost his unfavorable reputation in the manor lands with a victory over Sir Cameron in the tournament. A triumph will not only win him the favor of a maid, but the popularity that he desires. Gary Gallant—Squire. As Sir Cameron’s apprentice, it is essential that Gary puts the needs of his master above his own. 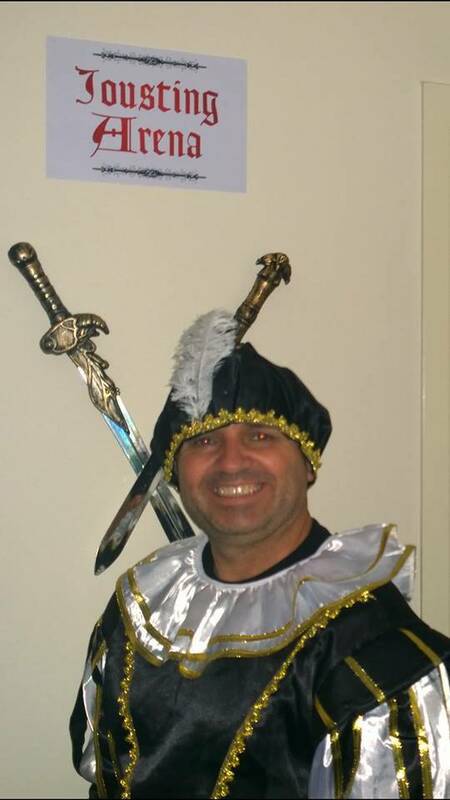 Once Gary proves valor, loyalty and honor, he will be knighted himself. Joking Jerry—Court Jester. Jerry is commissioned to make everyone laugh. But at what cost does a laugh turn deadly? Willie the Watchman—Manor Watchperson. As the guardian for the lord and his manor lands, Willie will be the force that keeps anyone from getting out of hand at the tournament. Elizabeth the Elaborate—Vassal. With a class rank higher than others, Elizabeth has some favor with the nobles. Can Elizabeth’s persuasion be enough to make Lord Taylor change his decisions concerning her daughter, or will she be forced to take measures into her own hands? Maid Victoria—Maid. Another victim of a pre-arranged marriage to a man she does not love, Victoria questions whether her destiny is sealed or if she can change it in just one night? Charlamagne—Chambermaid. Occupying the lowest tier of servant-hood in the castle, Charlamagne has unlimited access to all areas of the castle—a privilege others do not possess. While Charlamagne’s knowledge of the intimate sections of the castle may be to her advantage, they may also be her ticket to trouble. Maid Monica—Maid. Since Monica has always caught the Baron’s eye (and heart), she assumed a marriage was impending. Since Bartholomew’s engagement has been set with Diana, some say Monica has turned rather ruthless. Poor Pearl—Peasant. Pearl’s measly earnings have grown even smaller since the sheriff has been enforcing the laws. Wyatt Worker—Serf. A member of the lowest class in the system, Wyatt will need to prove himself in order to get what he wants. Where did jousting come from?Originally, in the early centuries of knighthood knights would often fight vicious battles against each other to establish supremacy and find out who the better knight was. 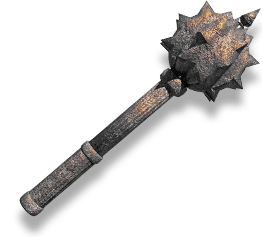 But over the centuries this practice was eliminated because it served no good purpose for knights of the same kingdom to wound, maim or kill each other. A knight killed this way was one less knight that could fight for the kingdom. So jousting came into prominence because it was much safer. 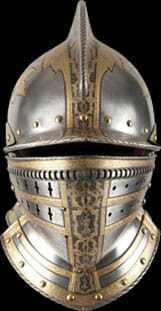 Knights could still battle and establish their stature while not usually harming each other. Jousting developed into a show all its own and for many gatherings, ceremonies and events the jousting tournament was the highlight. 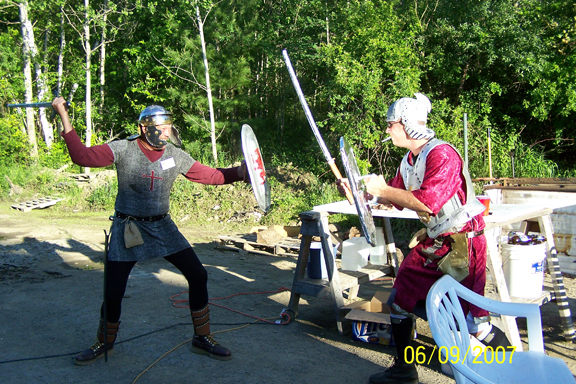 Even today we still have jousting tournaments at Renaissance faires. This tradition of jousting as a spectacle has given us some wonderful costumes, outfits, clothing and regalia from the Medieval Period. The favor of a maid? 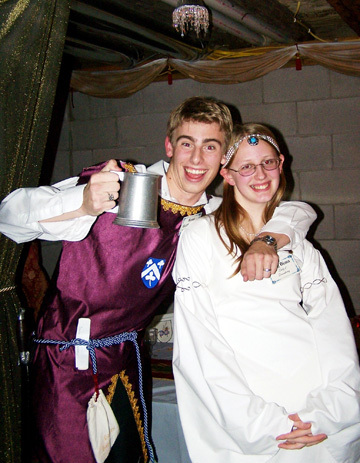 Fundamental to the tournament was the idea of chivalrous and romantic conduct. A knight selected a lady. In her honor he would fight. If he fought successfully, he expected to receive his reward. It was considered downright disgraceful – absolute treachery – for a lady to refuse her favors to a knight who had fought in her honor. 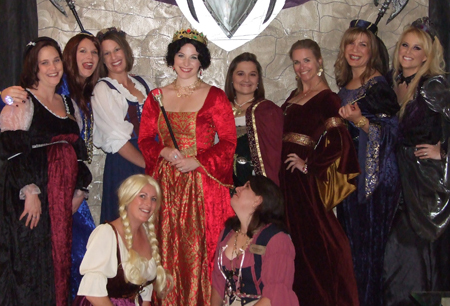 Tips on dressing for thee medieval celebration! 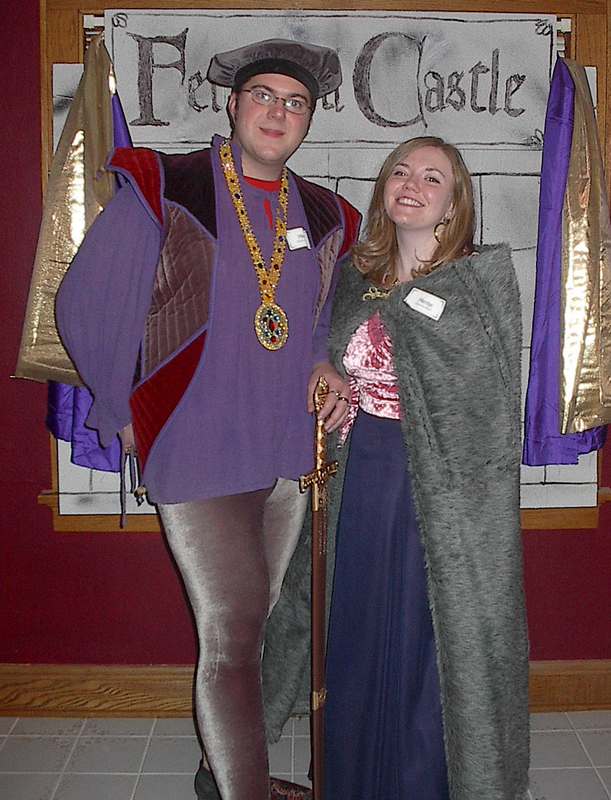 CAPE OR ROBE- Make a cape from a piece of velvet material. Add some fake fur and gold cording for the collar, if desired. STAFF – Spray paint a curtain rod gold. 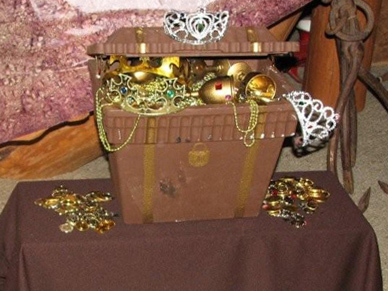 CROWNS – Obtain a Burger King crown and spray paint it gold. Decorate your crown with fake jewels (found at local craft store). 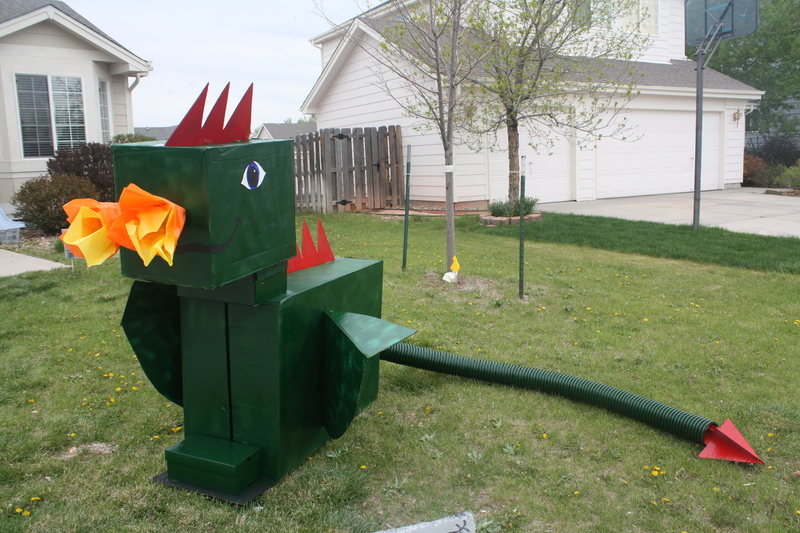 OR, here is a great link with ideas! 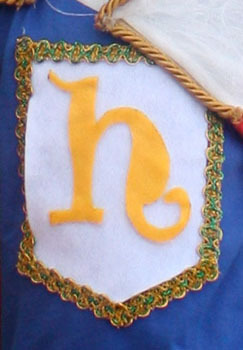 CRESS – Use felt, notions and glue to make your own cress or coat of arms and adhere it to your outfit (see below). – A cress can be easily made out of felt and attached with safety pin, stitch withery, hot glue or velcro. DRESS UP AN OUTFIT – check second-hand stores for inexpensive garments. • Add shimmering fabric or even fake fur. • Can’t sew? Attach the fabric with hot glue or stitch witchery. • Change the color of a dress or outfit by spray painting it. • Add gold cording, tassles, etc. to your favorite outfit or dress. You can find these in the notions section of your fabric store. MAIDEN’S HAT – Spray paint a cone-shaped party hat a solid color. Add a piece of sheer fabric to the top to cascade down. Looking for inspiration? 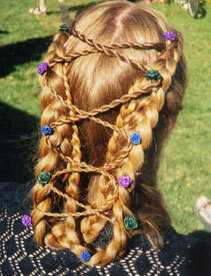 Look here at this GALLERY OF MEDIEVAL HAIRSTYLES. 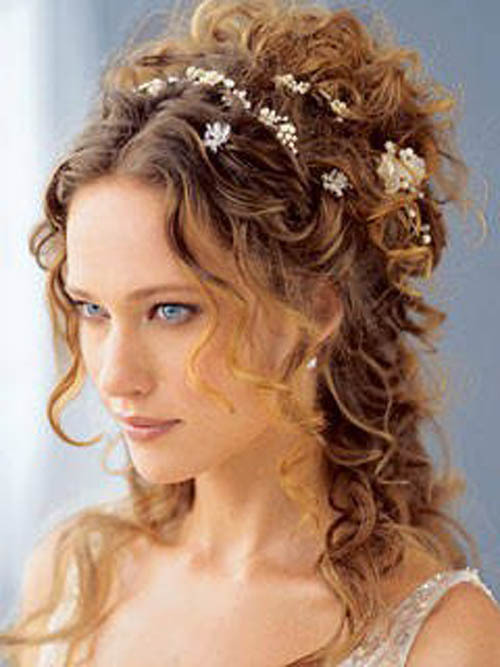 Watch a video to help you style your hair. CLICK HERE. 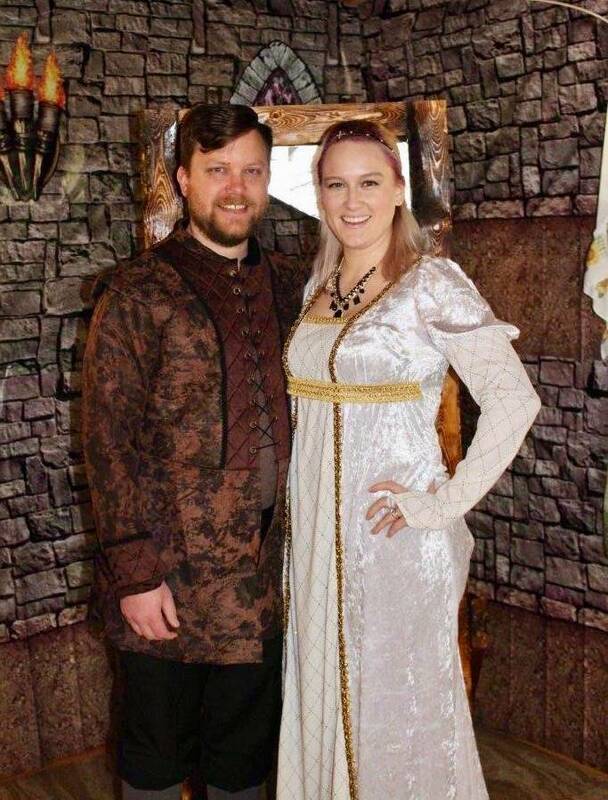 Ideas for ye epic celebration and how to make your party space into a castle! 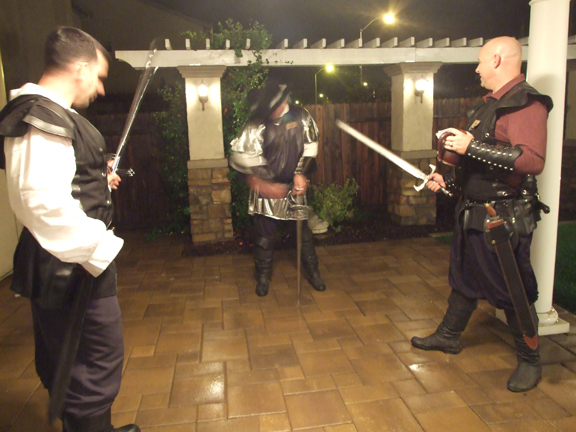 • Have guards greet your guests. 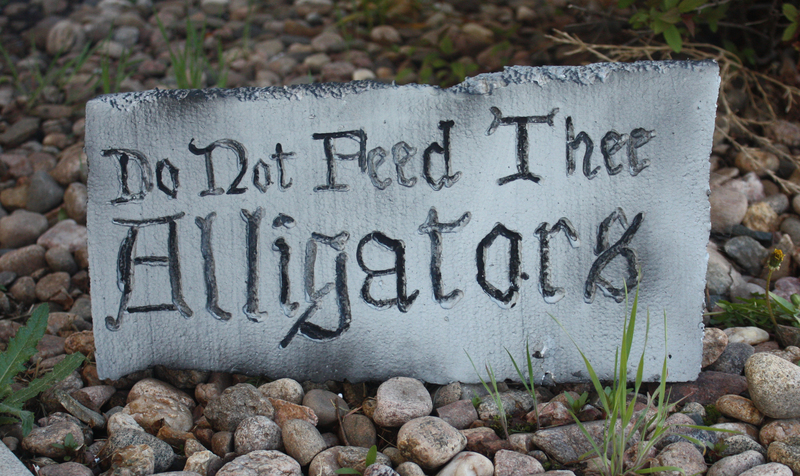 • Make a moat with alligators!!! 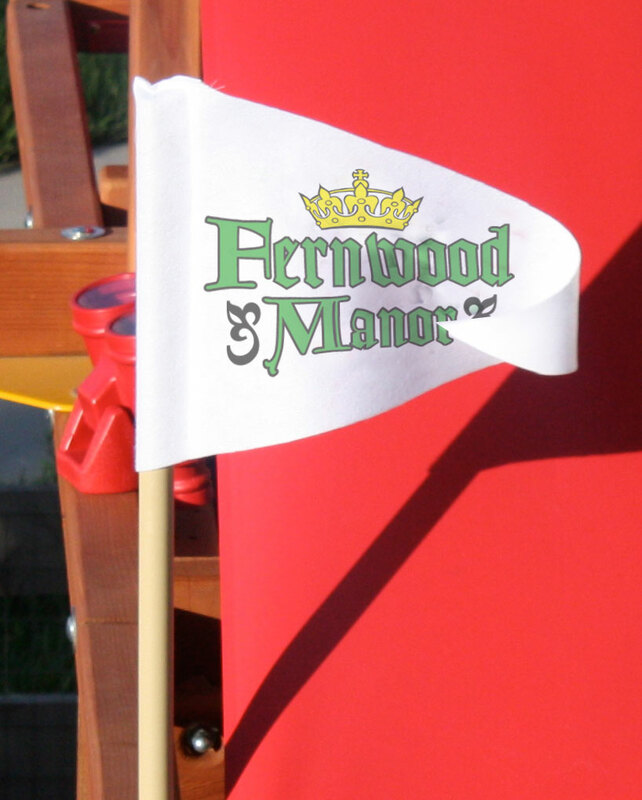 • Make some banner flags to fly for Fernwood Manor (directions and templates included with mystery). 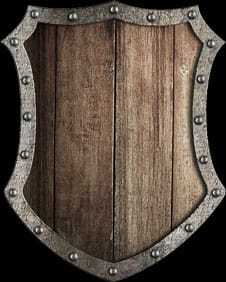 • Hang plastic shields, swords, axes, etc. on the walls (find some at a local party store). 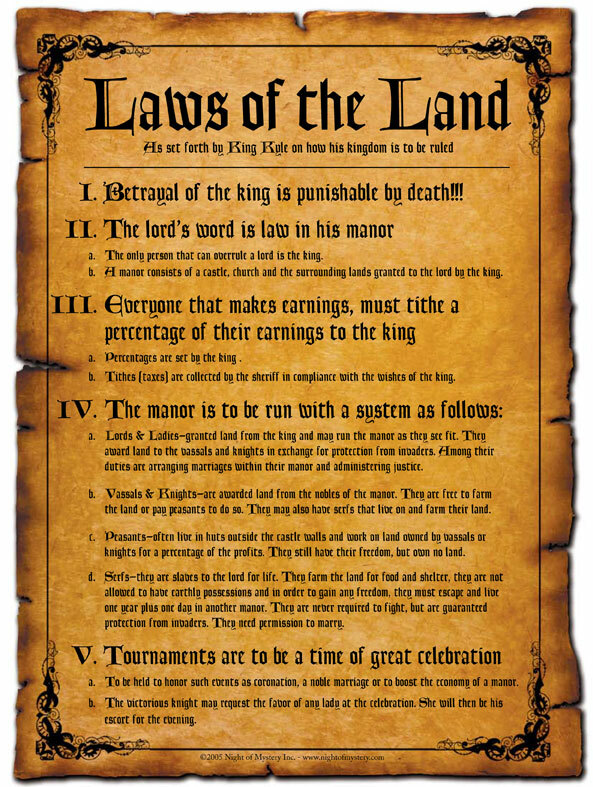 • Have the king’s riches on display. • Make your own shields out of cardboard. 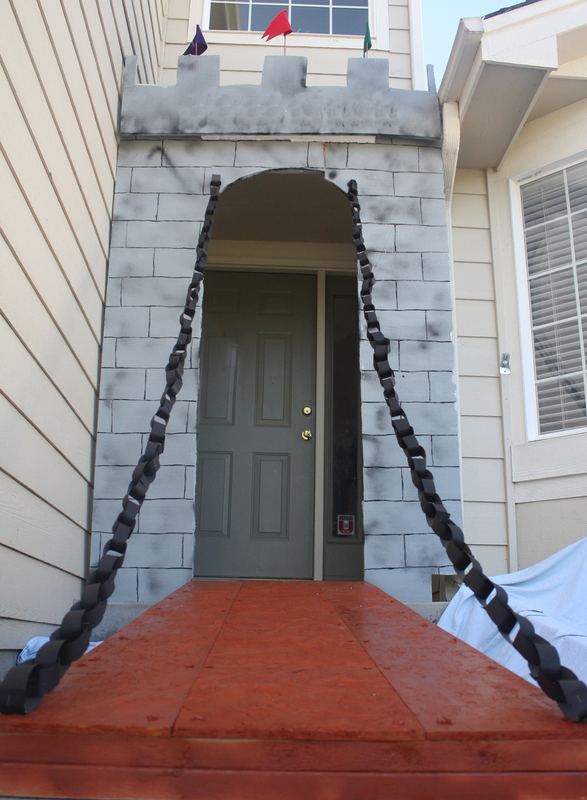 • Create gallows for anyone wanting to take a picture! 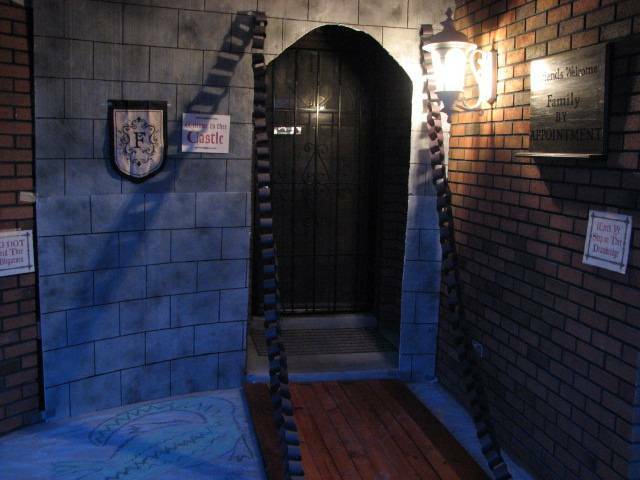 • Have an unfinished basement set up as the dungeon. • Have candles flickering about. 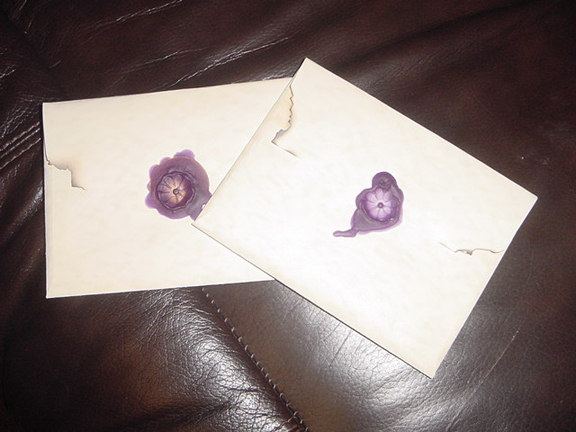 Two popular color schemes for your party may be gold and purple (the color of regency) or gold and red. • A little spray paint can go a long, long way. 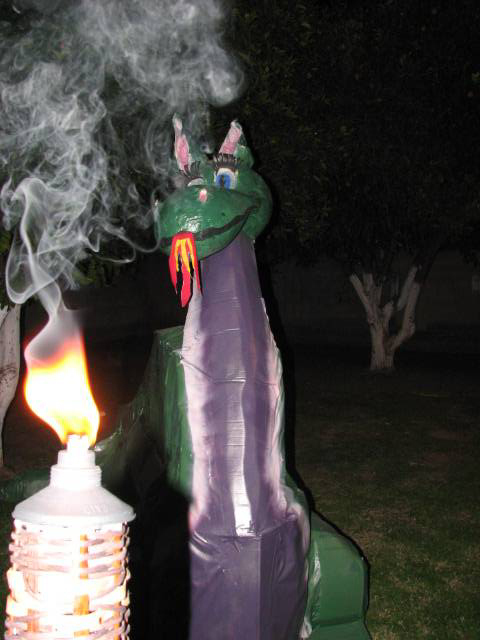 – Spray paint novelty items, vases, old wine bottles, etc. 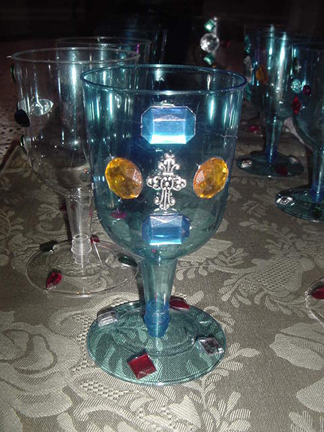 to help bring out the color theme and add inexpensive decoration to your party. • Make a table runner. • Tie to the back of a chair. Needless to say, they didn’t have electricity in the Middle Ages. When considering the lighting for your party, you will not want anything too harsh or bright. • Construct one long table for dinner. Use a brightly colored piece of fabric for a runner. 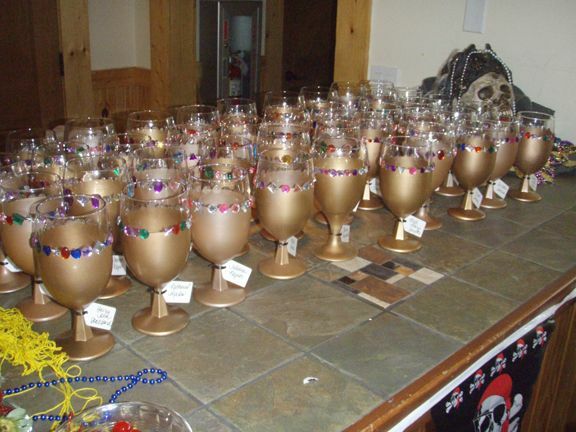 • Use goblets for drinking. • Create a throne by spray painting a chair gold. Add a bit of regalness with a velvet cushion or accent.. 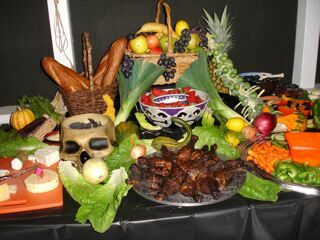 Medieval foods can consist of things as simple as chicken wings, potato pancakes, cider, chicken pot pie, and chocolate dipped fruit. However, if you want to add some authenticity to your menu include roasted turkey legs, mince pies, fruit pies, savory tarts, and shepherd’s pie. 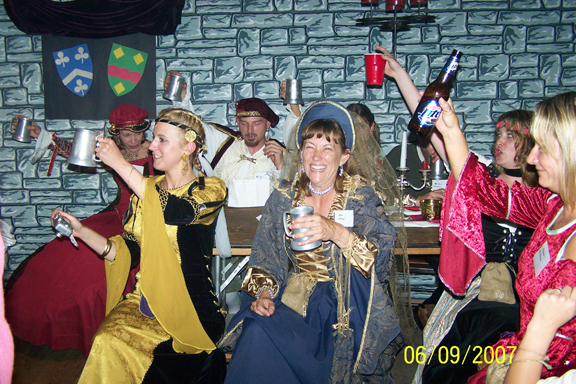 And don’t forget the ale and wine, which was always a staple at any medieval feast. • Begin dinner with soup or broth, bread, & cheese. • Follow with green vegetables. • Next, serve a meat dish of lean pork or chicken, or perhaps fish accompanied with sauces. • End with sweets and spiced desserts. • Serve wine and ale throughout the entire meal, or if the event is non-alcoholic, use apple cider, grape juice, lemonade, water, etc. 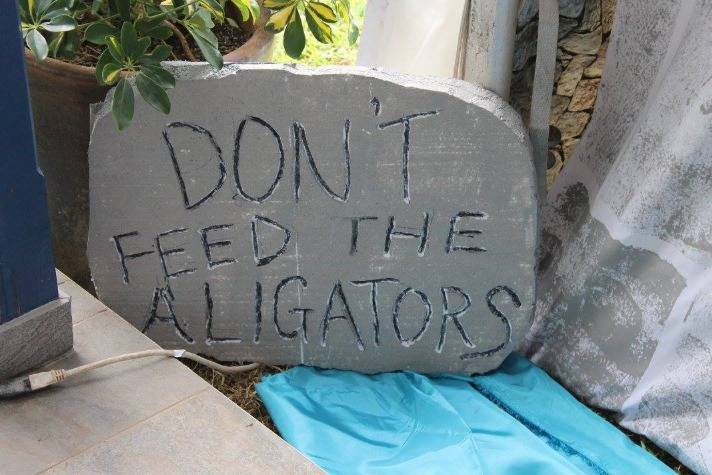 Just don’t let your guests go thirsty! • Divide the various dishes among two or three courses, serving each course in its entirety and leaving time for talk, music, & entertainment for guests between courses. ** See Meal Customs to enhance the experience!!! Serve turkey legs or chicken on the bone– Perfect for having your guests eat with their hands, as they did in the olden days. Want something simpler? Think chicken wings. 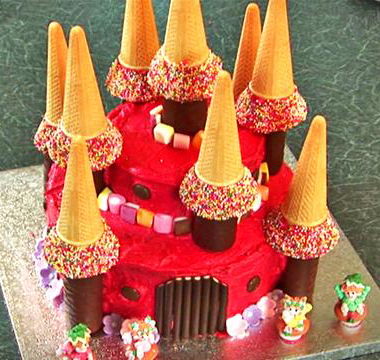 • Need Ideas for Castle Cakes? GET THEM HERE! 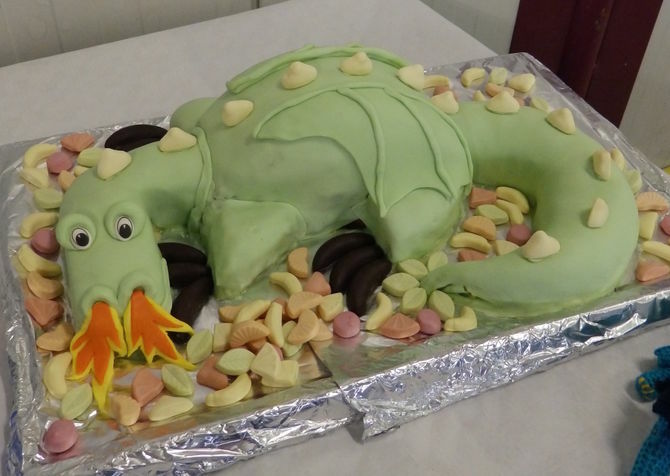 • Directions for the Dragon Cake: FIND THEM HERE! 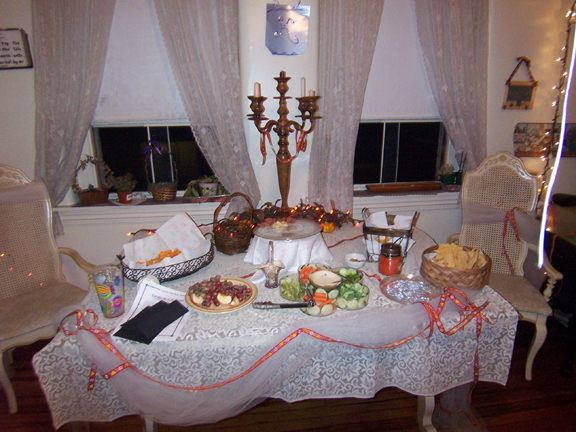 • Have the table low to the ground and the guests sit on the floor. • Each new dish was announced by trumpets and drums. • Music and singing were part of the meal. 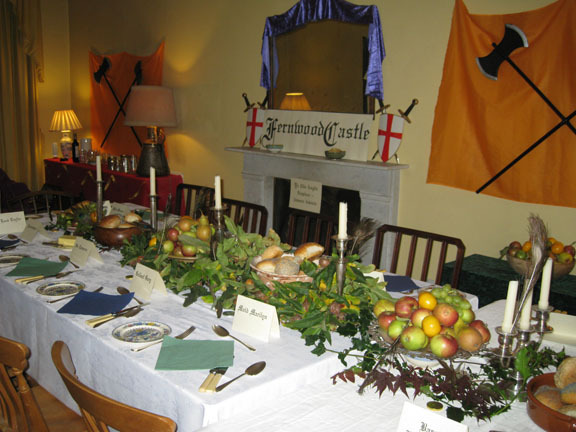 • See above sections on what foods a Medieval Feast would consist of. • Juggling and dancing were also forms of entertainment between courses of the meal. Musical selections from this time period are hard to suggest since there is little documented. There were many simple instruments that were used to entertain. Try finding some music from the harp, flute, pan flute, mandolin, organ or lute. Find it here. Since little is known, try using soundtracks from movies from the time period. Braveheart, Camelot, or for some humor Monty Python’s Search For The Holy Grail. Visit your local library for a number of compilations. Ideas, tips, tricks, etc. 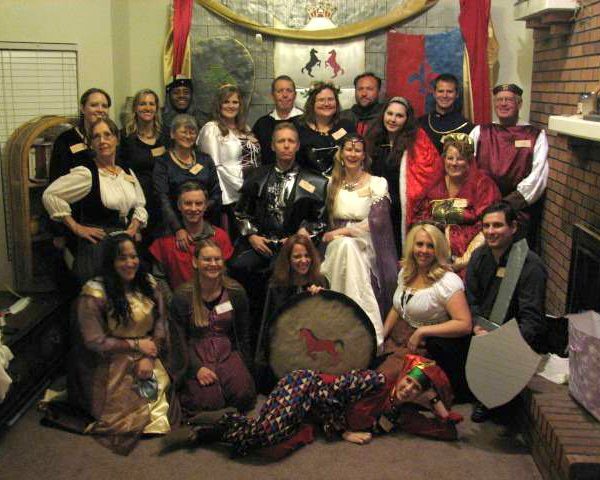 to help ye host the most elaborate Knight of Murder party to remember!!! Take Advantage of the Party Extras! One thing that could really set your party apart is creating and delivering these scrolled invites for your guests to come to the party! Nothing will get your guests talking more!!! Design and directions included in the “Party Extras” section of your mystery packet when you order! 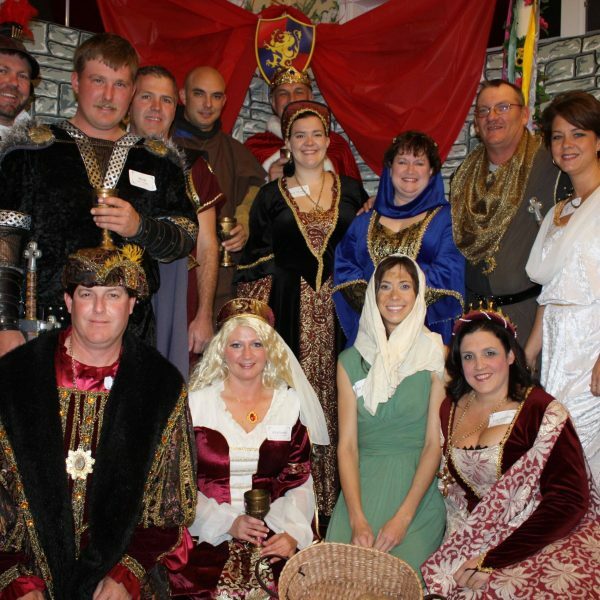 These are some traditions that were common in Medieval times that you can incorporate into your evening to have more fun with the theme. None of these are mandatory for the mystery, just fun, added bonuses! Dilly! Dilly! 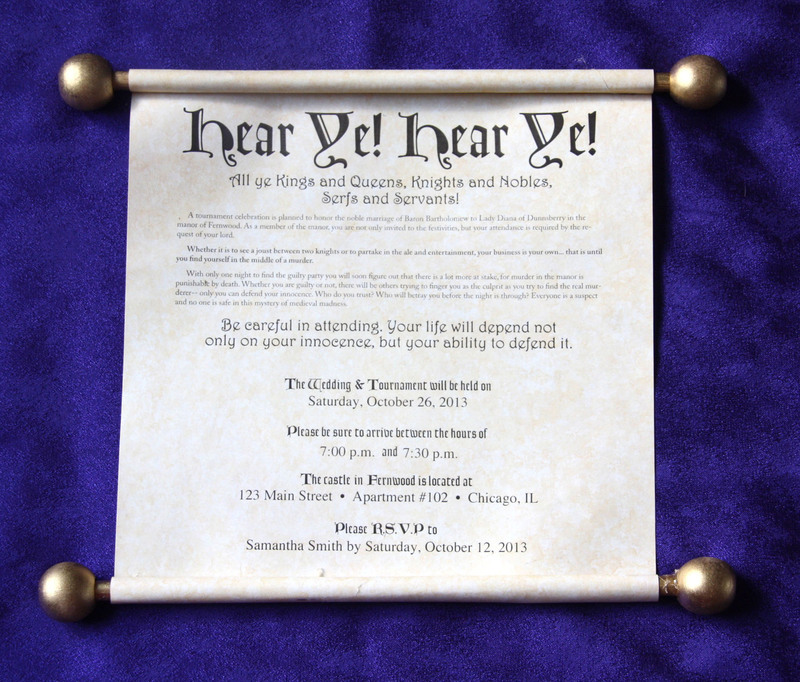 • For authenticity, print all of the materials for the game on parchment paper. • Make the peasantry and the Jester entertain the nobility. It was common for the king and/or the nobles to demand their lower class comrades to “make them laugh” before they could continue on with their evening. 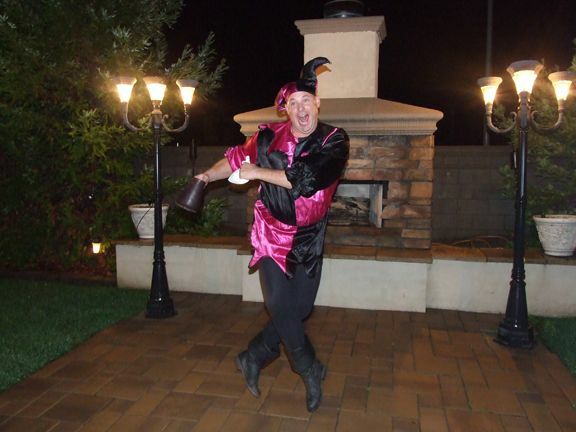 • Provide juggling and dancing as forms of entertainment between courses of the meal. 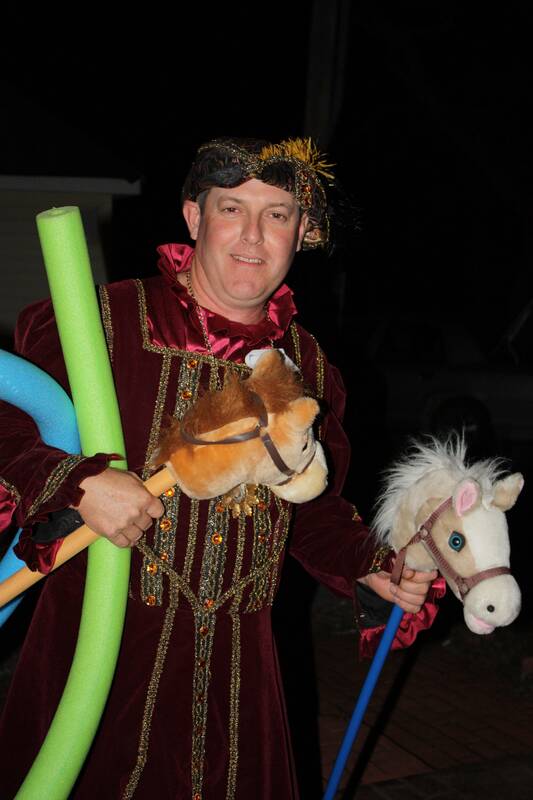 • Set up a Jousting Arena and encourage jousting! Check out some of these movies or t.v. shows! 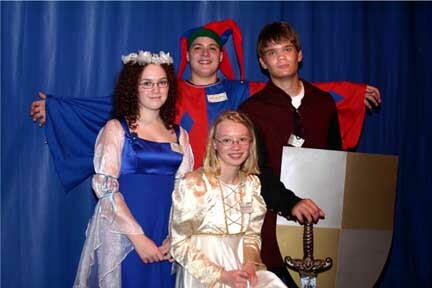 These productions are set in Medieval times. 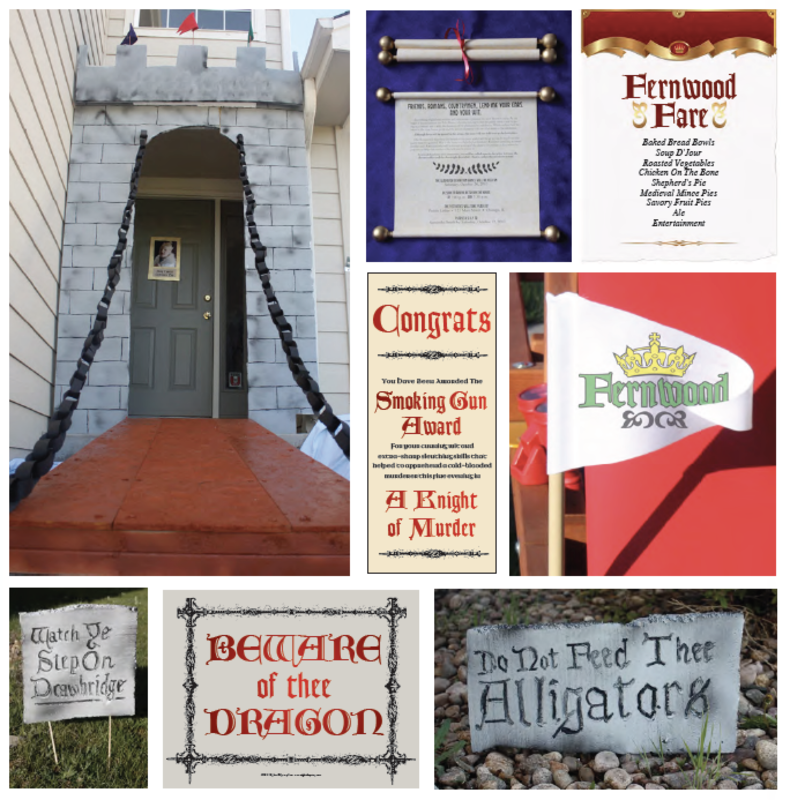 Not only will they help get you in the mood for throwing the party, but can provide inspiration and ideas on other things you may want to do when hosting your Knight of Murder party! Movies or t.v. shows set-in medieval times: A Knight’s Tale, Robin Hood, First Knight, Excalibur, Game of Thrones (tv series), Black Death or click here for a whole list. 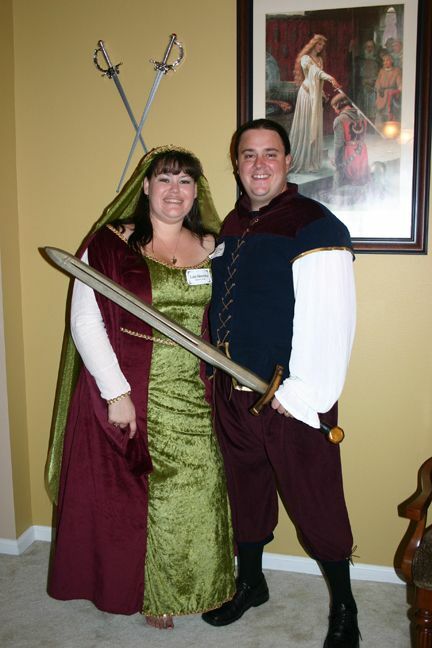 ALSO, Check out Our PINTEREST BOARD for loads more ideas for your A Knight of Murder Party!!!! Find these and many, many more by CLICKING HERE!!! All of the information regarding how to run your A Knight of Murder party can be found online at Night of Mystery. We highly suggest that you take time to look over our website and download the A Knight of Murder preview file. Upon reading the introduction file, it will give you a better understanding about how the parties are run and what to expect once you purchase a full mystery file. 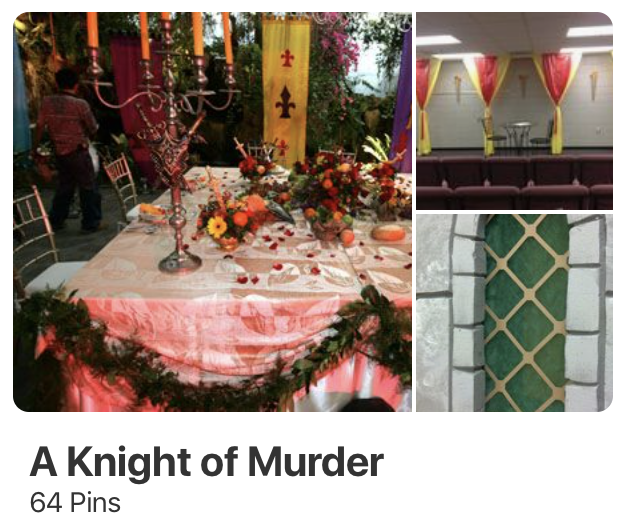 Check out our Knight of Murder Pinterest Board! 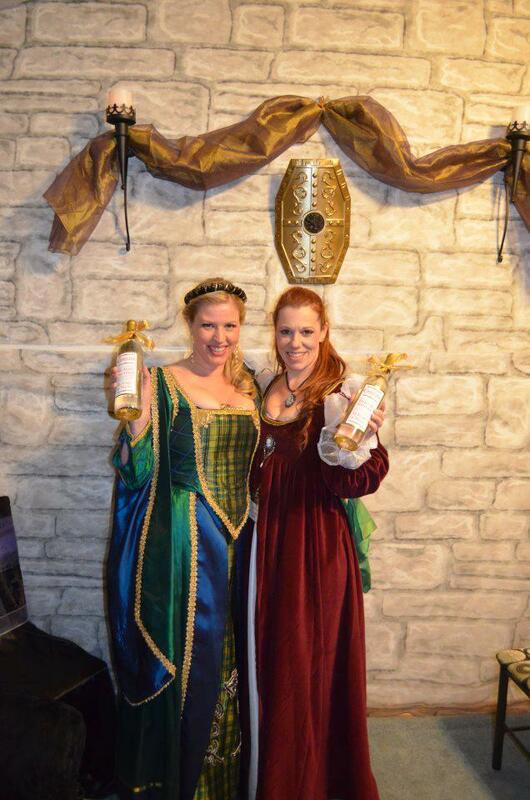 For even more party planning ideas, check out our A Knight Murder Pinterest Board here. It is s filled with ideas for recipes, costumes, decorations, etc. 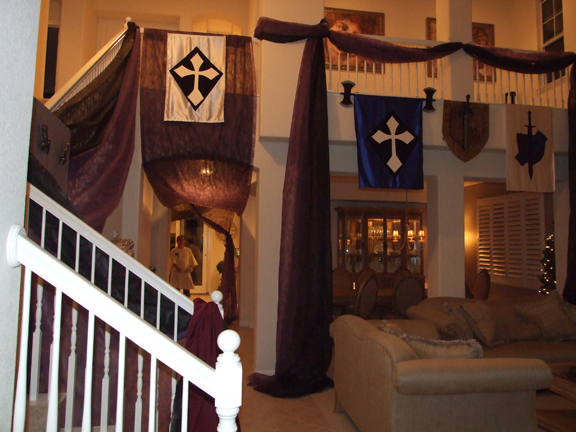 for the perfect A Knight of Murder party! 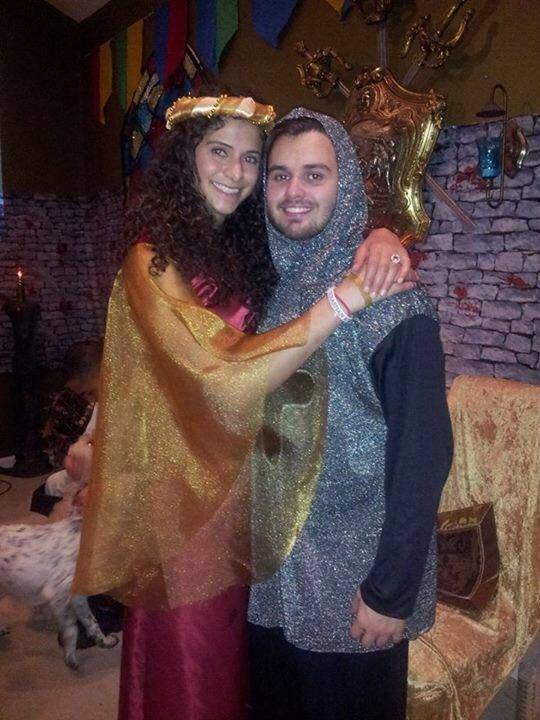 Our "Knight of Mystery" was quite a success. I was really impressed with the information provided. The storyline and cast of characters was entertaining. 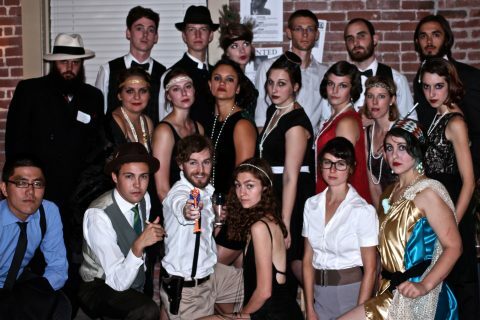 This was a new concept for those who came, never having been involved in a murder mystery party previously. 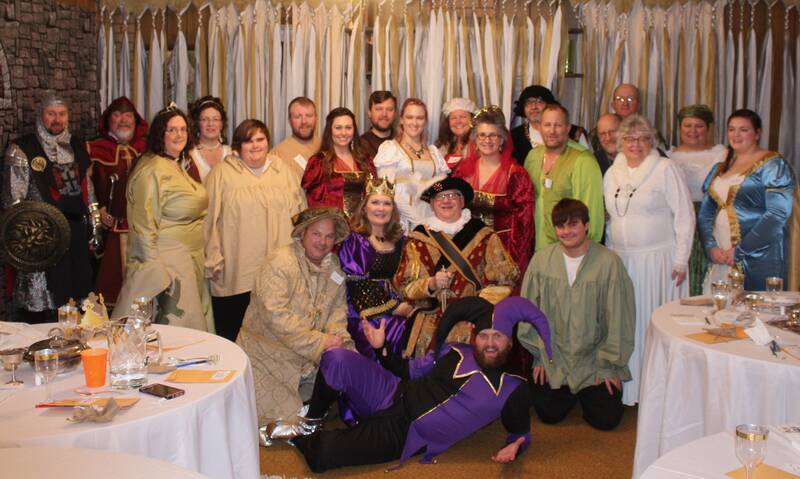 Nevertheless, guests really "got into" their roles, and even improvised some really wild tales. The story was so well scripted that only 2 of the 30 guests actually guessed who the villain was. I was a naysayer from the very beginning, but I must say, I can't wait to do this again! Thank you so much! My friend hosted this party at her house and invited a lot of guests that didn't know each other. A Knight of Murder was a great way to get everyone to interact. We all had a blast! And the costumes people wore . 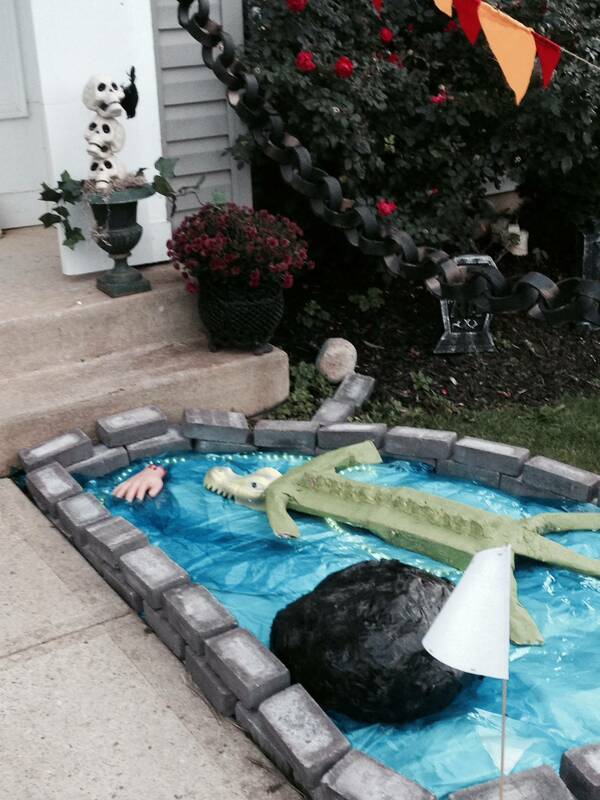 . . incredible and very creative. It's a fun, easy, inexpenseive way to make any gathering memorable. 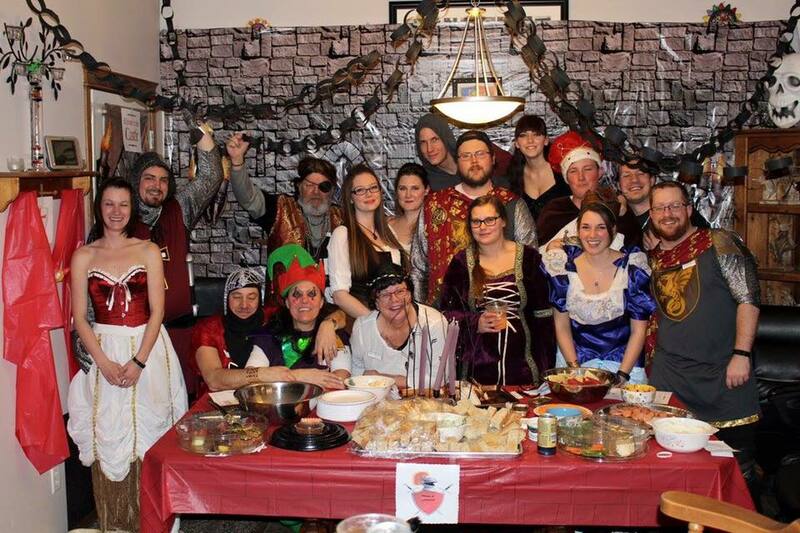 My roommates and I hosted this party and had a blast. 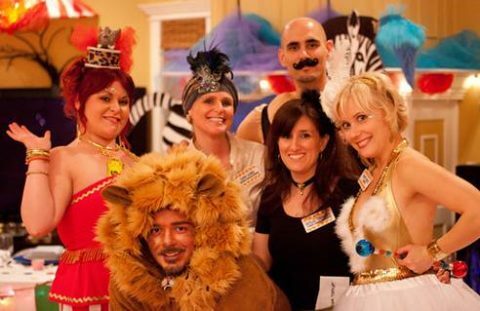 We had some awesome costumes and had a lot of laughs. We invited people that knew each other and it added to the excitement because you have to lie but yet people know you so well that it makes it hard. But that just added to the humor. We used Knight of Murder as a kick off for the adults before our vacation Bible school for the kids. 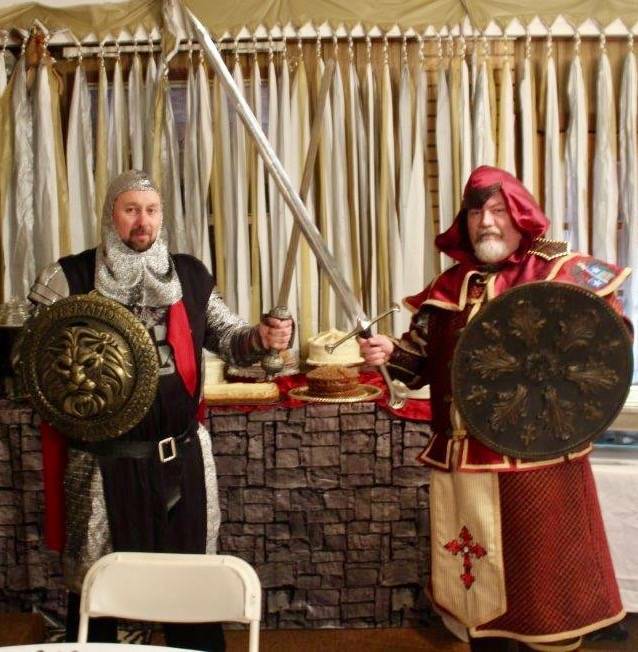 Vacation Bible School theme was King Kerry and the Knights of the Round table so we got the adults and volunteers into the spirit by having the Medieval Feast and Mystery the Friday before VBS started. We had a blast. Over 40 people participated. 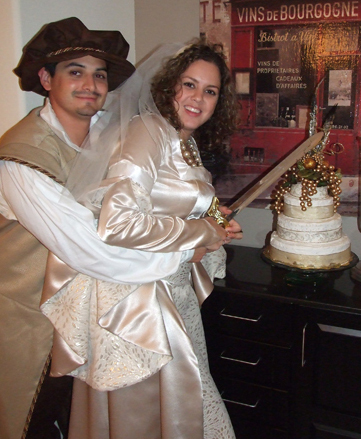 A recently married couple played Lady Diana and her groom. Lady Diana actually wore her wedding dress. 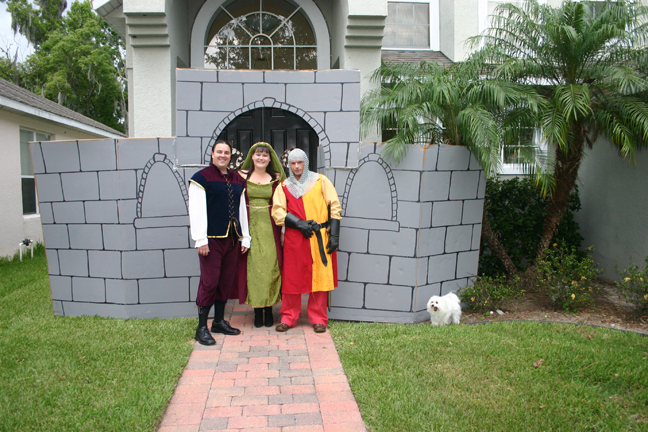 We used bulletin board paper and painted castle walls to cover the entire fellowship hall! 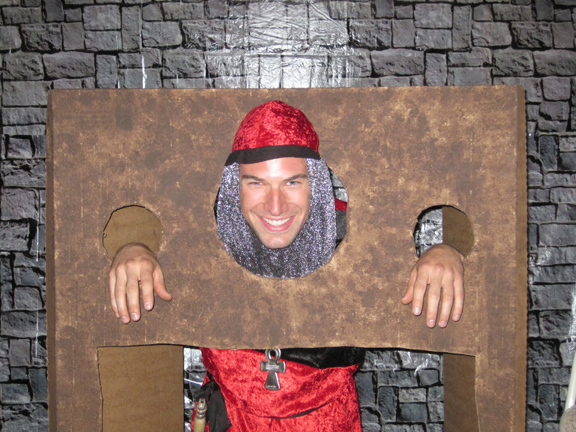 One of our carpenters built 2 actual stockades and a working drawbridge. Dinner was on skewers so there were no utensils and few plates were used. All the extras who were serfs and servants were used as waitresses and waiters. I think mystery games (using the word murder is frown upon in the church) may become a tradition! We are already planning Mystery under the Big Top for Halloween! 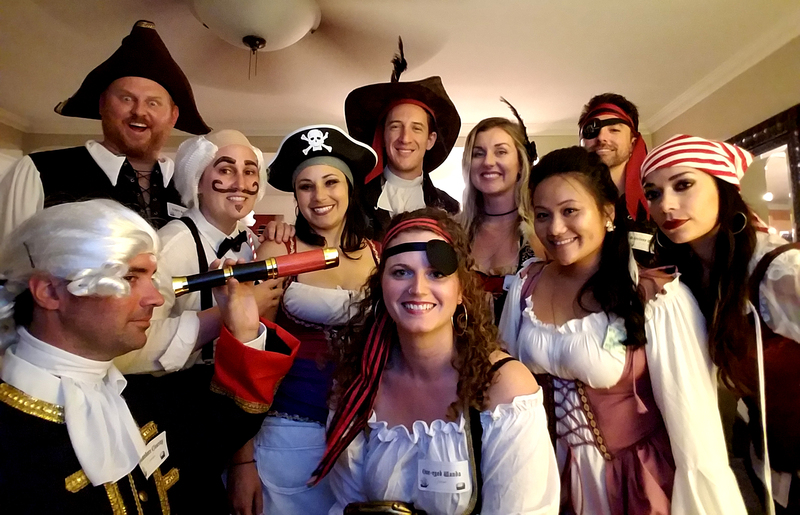 My friend Wendy and I hosted this mystery party in October and it went above and beyond our expectations. I love how everything we needed was in the PDF, and all we had to do was print and go. Furthermore, it surprised me how much fun an un-scripted game could be. I love how while each character had objectives throughout the game, they could be in character and ad-lib the rest of the time, which is what lots of our guests had so much fun doing! 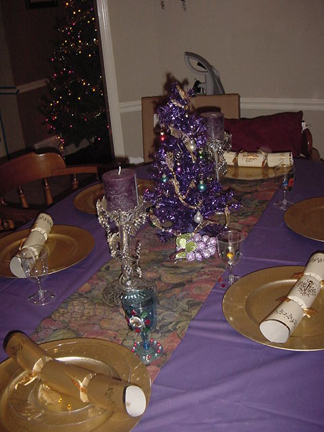 I am already planning another party for December because it was so much fun!